Raja Ampat conservation programs - protecting a unique & fragile ecosystem. 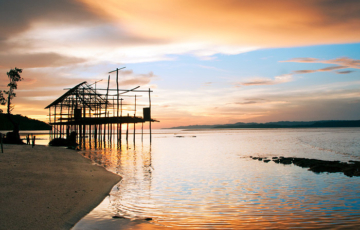 Want to contribute to the preservation of the incredible riches of Raja Ampat’s Bird’s Head Seascape? Support local communities by always purchasing a Marine Park Entry Permit, supporting locally owned eco-tourism ventures and doing your best to minimise your personal impact. Use the Raja Ampat Environment Watch app to report any environmental concerns to the appropriate local authorities. Donate to established conservation and education programs working with the people of Raja Ampat to provide economic opportunities that won’t result in environmental damage. 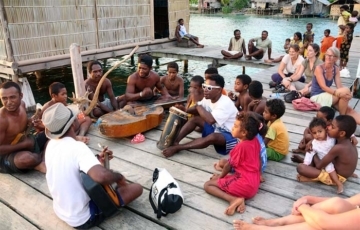 Local communities have embraced the “no take” zones developed in conjunction with the declaration of the Raja Ampat Marine Park and are keen to secure an economic future based on eco-tourism rather than the unsustainable exploitation of their environment. Staying in Papuan owned accommodation and employing local village guides and transport services will ensure the continued commitment of local communities to these ideals. Yes, Raja Ampat is expensive by Indonesian standards, but it’s a small price to pay to be a part of securing the preservation of one of the world’s most important wild places. Setting a good example by minimising your own impact will help enormously too. Saying no to plastic packaging (including bottled water), refusing any suggestion to dispose of rubbish (including cigarette butts) over the side of your boat and taking your non-biodegradable waste home with you is a great start: See this article about the growing trash problem and lack of waste management infrastructure in the islands. Never touching or walking on coral. Refusing to pay to see captive wildlife, buy wildlife products or disturb marine or terrestrial creatures. Using only fully biodegradable bathroom products. Sticking to the “take only photographs, leave only footprints” adage. Expressing your disapproval of any non-environmentally friendly actions you witness. Learn more about the Education Center and how you can help continue their invaluable work. Norm Van’t Hoff works with local communities to help them protect their reefs from fishing and the damage done by anchoring. The One Reef at a Time project provides marker buoys so local communities and homestay owners can delineate the reefs over which they have have used traditional sasi declarations to ban any kind of fishing or boat anchoring. It’s worth noting too, that it was Norm’s work on the One Reef at a Time project that brought to light the potentially extremely serious Crown of Thorns starfish problem that Raja Ampat’s large conservation NGOs and government authorities were unaware of. Working to eliminate the outbreaks already discovered has added a whole new dimension and need for resources to the One Reef at a Time project. All the organisation, shipping of and labour to install the buoys is provided by Norm and the local community, but One Reef at a Time is dependent on individual donors for the funds needed to manufacture the buoys, and for the purchase of the materials needed to install and secure them. 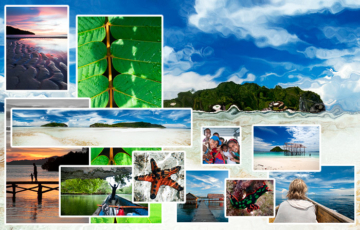 Connect with Norm on facebook if you’re keen to support an effective, sustainable, local community initiative to protect Raja Ampat’s inshore reefs. I have just spent two weeks mostly on Kri island and in my opinion the conservation program is not very efficient. There is a lot of plastic waste on the beach and in the water. When you go to Waisai or the Fam you can see two spot where a lot of plastic is floating. I saw locals throwing rubbish staight to the sea. Plus a lot of corals along the inhabited coast of Kri is destroied and some reef rehabilitation should be applied. I’m marine biologist and I know there are ways to restore broken corals. Those 1 milion rupia fee from each tourist should be spend for environmental education of the locals about plastic waste management and not destroing corals. It is a lot of money that you get from each tourist and I couldn’t see where it goes. We couldn’t see any ranger during those two weeks except from the one at Mantas point. Where does the money goes??? Plastic waste is indeed a huge problem, as it is all over the world. We’ve written about the problem here, and about local community concern and efforts here. Thanks for mentioning coral restoration: It reminded us that we need to update this page to include the NGO reef protection and restoration projects that are currently under way! The challenge to successful waste management and extensive reef protection/restoration though, is that both require commitment and support from government to succeed at scale. Sadly, the Raja Ampat government is yet to provide such a commitment. Here is how the money raised by the Tariff to Support Environmental Services in Raja Ampat is supposed to be allocated. It’s a common misconception that the entry fee is raising huge amounts of money: In the latest full year for which data is available (2016), the total raised by the entry fee was about 16 billion Rupiah – roughly USD 1.1 million. An undisclosed portion of that 75% is supposed to go into a community development fund, but even if the KKP could use the full 75%, USD 825,000 a year would still be nowhere near enough to properly manage the enormous (and discontiguous) MPAs. So in the meantime, both waste management and reef protection/restoration are problems that local communities and their NGO partners as are left to struggle with. The patrol post you mention at Manta Point is a perfect example. It is not managed by the KKP or funded from the Tariff. If you’d like more information, or have suggestions for improvement, it would be best to contact Conservation International, as it was that organisation that worked with local goverment to set up the Tariff, the distribution of funds raised, and the KKP management organisation.